Oh yes! It’s November!!!! I’m excited! My close friend and my siblings(sisters especially) knows about why I'm excited(because I remind them on 31/Oct..hehe) and I think they already get tired of this excitement after this many years..haha. Why am I so excited whenever November comes? November is my birthday month so I will start to do countdown start from 1 November until 30 November on Facebook by sharing each date everyday. This year, I want to make a little different, instead of sharing date everyday, I will share useful article everyday,start from getting to know me, something that I learn, my everyday life and etc. So, after this, you will get to know me well and I hope it can help you know yourself better too.Without further due, here is the first article. It's all about 30 things makes me happy. 1.Rain – I love a rainy day. I always hope I’m home every time a rainy day so I can enjoy the sound of the rain while drink hot coffee/tea or hugging my blanket. I love that feeling. 2.Skies – I love skies , I have never ending love for this wonderful creature by God. I love how the colour is change or different everytime. 3.Mountains – I love this too. Even though I can’t see the mountains every day but I remember I used to see this during my childhood and I’m dreaming of New Zealand mountains as well, it takes my breath away. 5.My parent’s smile and laughing – Smile and laughing is the symbol of happiness. So, when I saw my parent smile and laughing, I knew I make it! I will try my best to make you two smile whenever to think of me. 6. My siblings helping hand every time I need, it always on time. – I have 6 siblings, I’m the fifth daughter. Whenever I’m in trouble(especially money and emotional help), my sisters and brother always there for me. I’m thankful for having them, I love you guys!!! 8. Foods – Food always can make us happy. Whenever I saw my favourite food(every thing is my favourite), I am the happiest whenever I smell and eat Japanese Chicken Curry, Kenyah food, Chinese food and some Malay food. My baby! 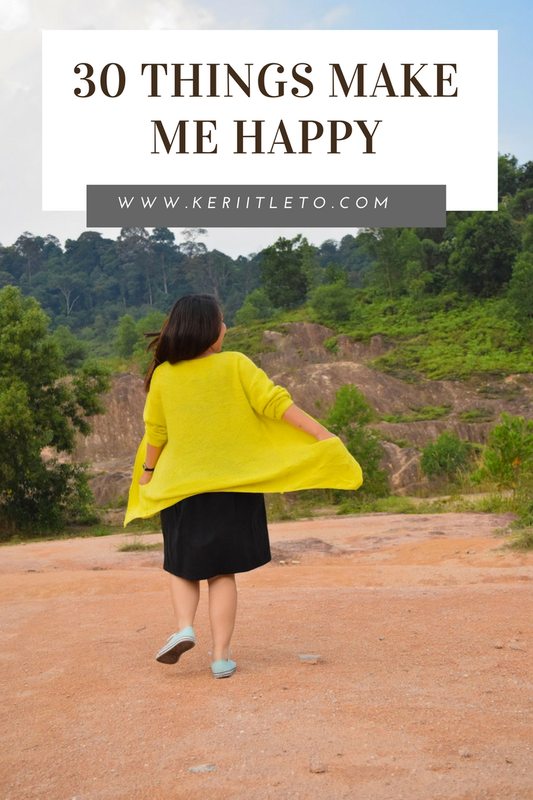 When I started my blog, I don’t have a proper name until last year, I purchased www.keriitleto.com, I am the happiest person on earth and I really work harder to make this blog as a platform to share life tips, my photography passion and travel journey. I really hope my blog can be a useful site for many people one day. 10. 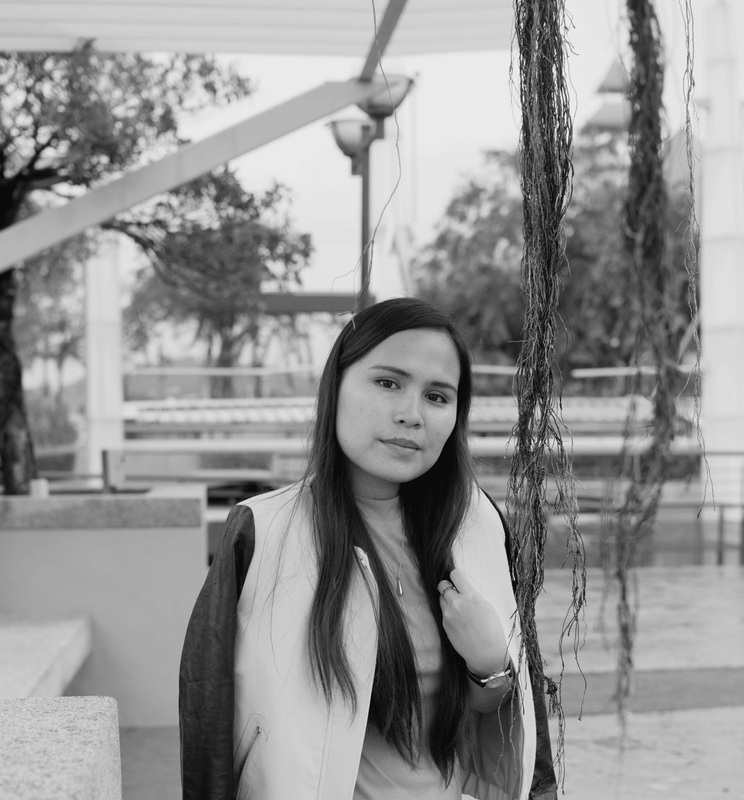 My current job- I love my current job because I learned a lot from it and I can earn money as well.To be honest,I’m not every day happy about it but for now, I am thankful! 11. My camera – Lately I’m not holding my camera much. Sad sad! But, this November, I will start again. 12. My friends- Friends is an important person in my life. I love them as I love myself. Here some that I can mention, Marina, Ijan, Kisha, Najlaa, Fathinah, Maznee, Luhong, Ellis,Jue,Sandra and much more.Thank you guys for being friends of mine. I'm sorry I always annoyed you guys. Whenever this time come, I am the happiest because I got to see my parent, siblings and a big family. And, I can see the skies, blue skies/sunrise/sunset from the kitchen.. and eating good food that cooked by my mum and sisters, hearing and bullying my nephews and niece. I love that! Since I start working, I never spend my Christmas at anywhere else other than my kampong. One and the only place I go whenever Christmas time because there my family and there will be Christmas. The Christmas is not perfect without family. When I decided to be minimalist, I'm quite surprised because I love buying anything but since last year, I tried my best to be minimalist and sometimes I failed but it’s okay, I will try again. No secret about this!haha, my sisters and my Facebook friends will start having everyday notifications whenever November come..haha but I’m excited about my birthday and I’m thankful for being born in this world and strive my best to be a good person. The passion that saved me from my heartbroken time. I love to capture moment because I feel like I can freeze the moment. 20. My cousins – They love dogs but I’m not, so they love to make fun of me.My cousins are my first best friends.Amy if you read this, you remember we used to exchange letter and photos? haha, I still keep the photos. The meal is one of the ways to connect the relationship.When we eat a meal together, we bond together. I will try to cook for a future meal together. Never stop thinking of New Zealand. I love this country especially the mother nature, oh boy! I want to move there. Everyone has their life journey and whenever I think of mine, I am the happiest because from my life journey, I can see God’s work and how far I came. I’m thankful and forever grateful for this amazing life journey that God created for me. 24. My faith journey – I’m Christian for 27 years but some time, I do not really know about my faith. But, now I know my faith can make me hope and that hope makes me believe. Oppa ( my car name), I never forget about you! My first car is so special because it’s my 23 years old birthday gift from my parent and myself ( my first salary and money from my parent is the downpayment for this car). I’m grateful for having you Oppa. I think this one is my strength I guess. I love acting “crazy” in public especially if there’s my camera. I went to any Putrajaya parks, not for exercise but taking my self-portrait. I am happy whenever do this and seeing the result on my blog but I’m not doing it anymore because everyone playing Pokemon go in the park. I'm so thankful whenever you write comments on my blog because its make my day. 29. Worship God and fellowship with fellow believer. I'm thankful for having wonderful God that I can rely on during the bad and good times. 30. Seeing my siblings/friends happy face because of my silly joke. I love to make a silly joke to my siblings(even my co-workers) and they called it drama. I love to do that so I can see people around me smile even though its make me look stupid.But, their smile is worth it than look stupid. When I write this article, I stuck at 28 because I feel like “Wow! I have many things that make me happy”. How blessed I am and some time I never realised it. Its not just 30 but there’s many things that make me happy without even realised it. Some time I feel like I have a very unhappy life because I don’t have enough money to achieve my dream, to support my family(my mum and my brother still need to do hard work), I feel bad for not able to support everyone so we can have a happy life. But, as I grow up, my definition of happy life changes. I used to think, more money can make you happy. Now, for me, a happy life is not just having more money, it's how you make the money work for you to have a good life. I want to have more money to buy people time and help people that need help especially the single mothers and needy person. No matter how you feel about your life now, you can always have a choice to look at the bright side and if you believe in God, don't feel despair,God always be on time and never forget you.We just live once and don’t take this life for granted.We should always try to live for God and live to fulfil the two main commands " Love God with all your heart,soul,mind,energy and love others just like you love yourself". Thanks for reading and I hope you feel inspired to write your or if you don’t feel like to write 30 things, you can share what thing make you happy on the comment below. I want to know about it because I already tell mine so let’s share ya! Thank you and see you on next article.